The Kansas Motorcycle Museum is home to over 100 antique, vintage, and rare motorcycles of various makes and models. It also has numerous motorcycle memorabilia, photos, posters, and much more. Help us keep this unique gallery of motorcycle history alive! Donations of cash and all types of motorcycles, mini bikes, go-carts, autos, trailers, farm equipment, and real estate will be used for display or resale for the museums expenses. Every donation, small or large, helps out tremendously! Your contributions will ensure the future of this great attraction for generations to come. If you or someone you know would like to make an item or monetary donation, please contact us at 785-546-2449 to make arrangements. You are also invited to visit our website, www.ksmotorcyclemuseum.org or stop in to see our current exhibits. 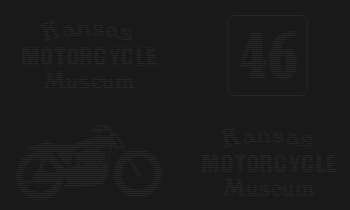 The Kansas Motorcycle Museum is a 501(c) 3 non-profit corporation.